Forget zombies, vampires, and sea monsters, the latest Jane Austen parody imagines her heroines beating the crap out of each other. 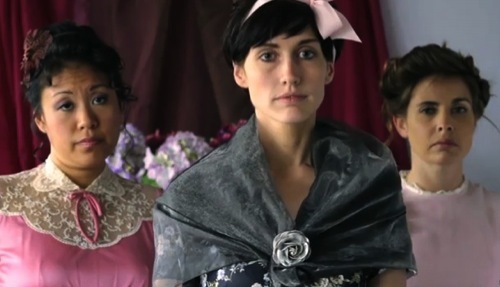 Jane Austen’s Fight Club is a fake trailer that shows Austen characters like Elizabeth Bennett and the Dashwood sisters blowing off some steam in a fight club. Apparently, it was created by Emily Card  for a church film festival in Los Angeles (I’ve never heard of a church having a film fest, but I guess that’s LA for you). The trailer is incredibly well done, and I guarantee it will make you laugh. Check it out below.